Have you ever connected with a space, every time you walk in you just instantly feel at ease? 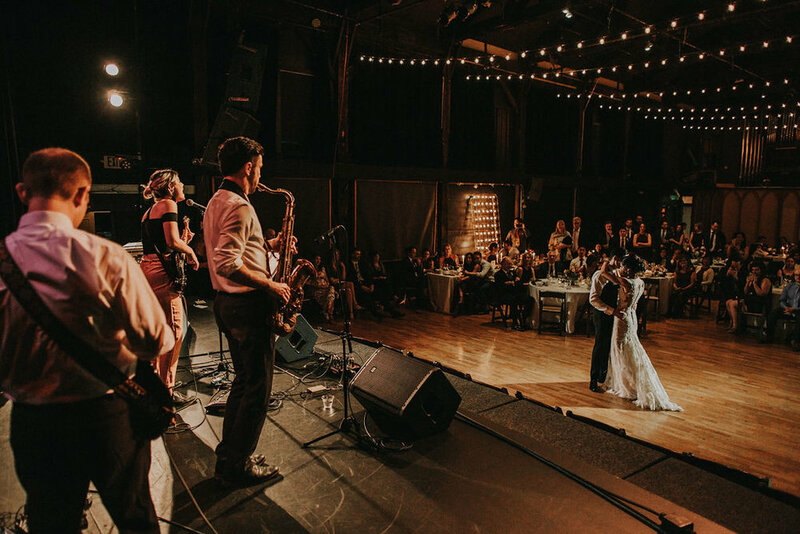 From our first wedding at Miners Foundry Cultural Center in Nevada City back in 2015 to our most recent wedding last fall, it is simply a space a space I could never tire of because it can be something entirely different for every event that takes place there! The Stone Hall is the show stopper of the venue, from the dramatic beams and stone work to the stone fireplace and when you add a pop of decor like the fabric draping or lounge furniture - it’s just stunning. Some couples choose to do ceremony in the Stone Hall, and reception in the Osborne Room while others have done their ceremony in the upper gallery and used the Stone Hall for dinner & dancing; there are many different variations. We’ve also done weddings were the ceremony and reception is held in the Stone Hall and during the cocktail hour our team along with the catering staff transition (aka flip) the space from the ceremony set-up to reception. It’s always an exhilarating task and so rewarding to see everyone’s reactions when they come back into the space. What’s also really great about Miners Foundry, is the proximity to the local shops, bed and breakfasts, hotels and more so the guest experience is always really fun for those who can spend a little time to enjoy Nevada City. 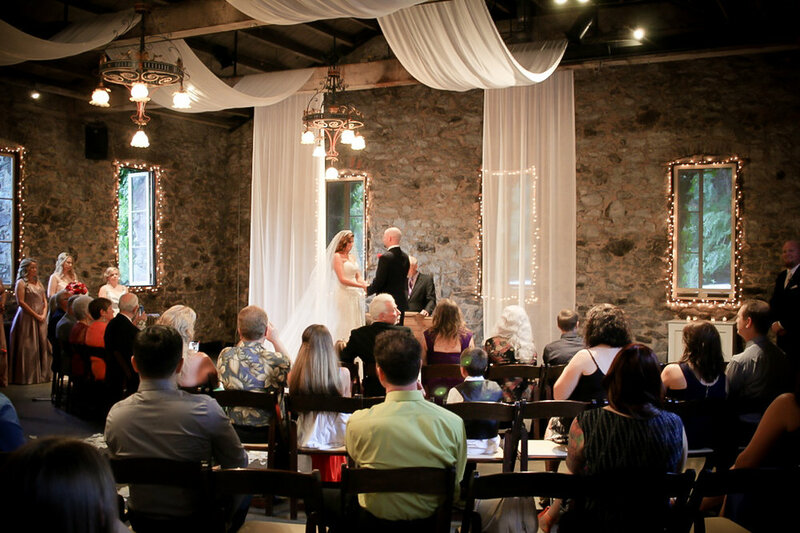 Since we are based in Chico, it is an easy (and beautiful) drive to Nevada City and always a treat to work in the area so if you are looking for a really awesome destination in Northern California for your wedding definitely check out Miners Foundry!